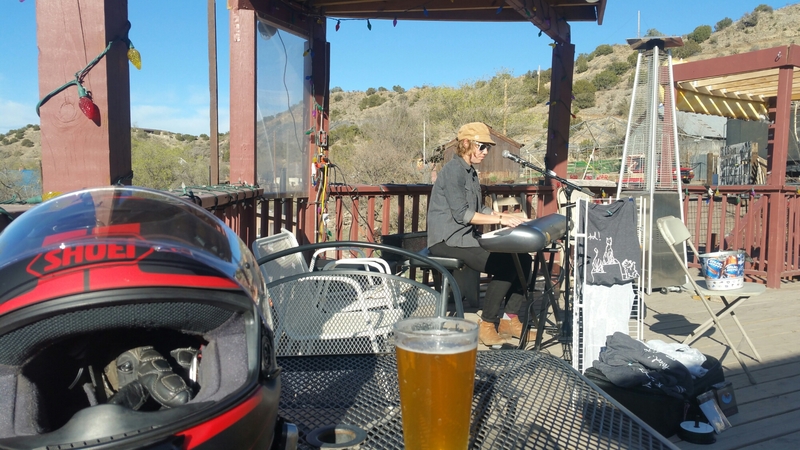 Madrid New Mexico is a cross between abandoned mining town, art colony, and biker hangout. It’s a great little place to end up at after a ride. Rode out here today the roundabout way. Stopped for a cerveza, listen to some music, and to take it easy for a bit.